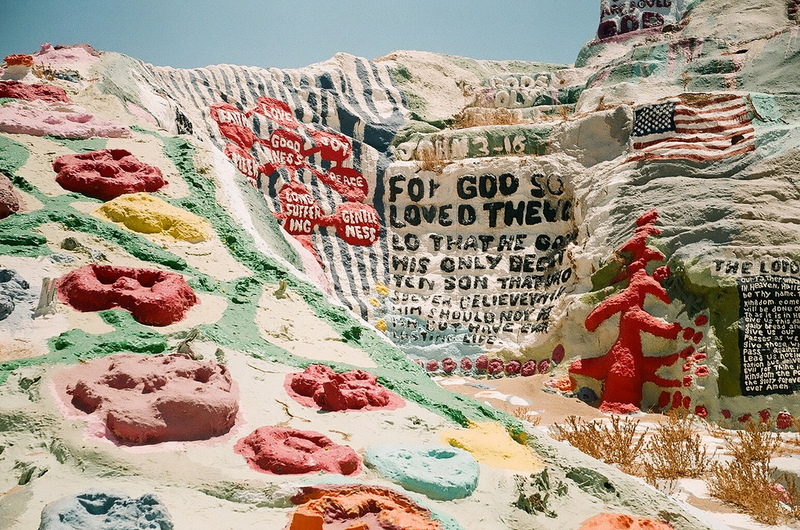 There are countless tourist attractions in America and some of them are really weird. Carhenge definitely qualifies as one of the weirdest tourist attractions in the USA. It is a replica of the British Stonehenge, but this bizarre American version is made from vintage cars in the place of standing stones. 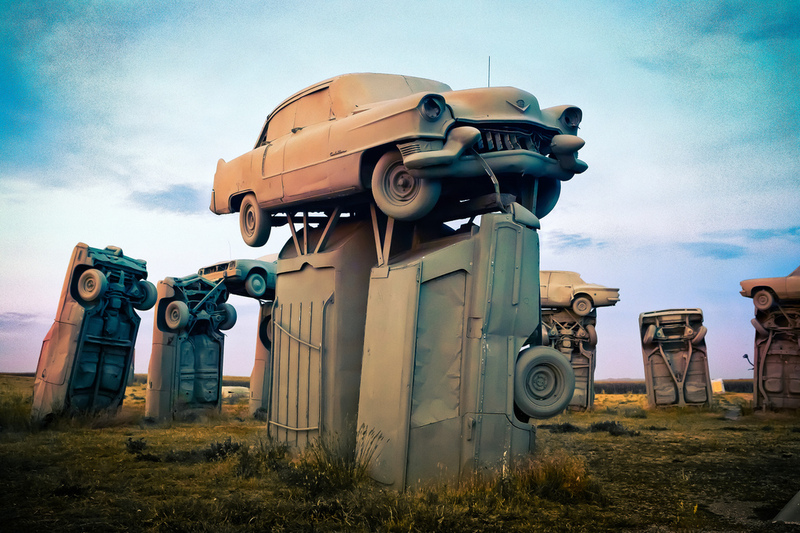 Carhenge is located on the High Plains near the city of Alliance in Nebraska. Bubblegum Alley is a 70m-long alley, the 4.6 m high walls of which, are covered in used bubblegum that visitors have left behind. 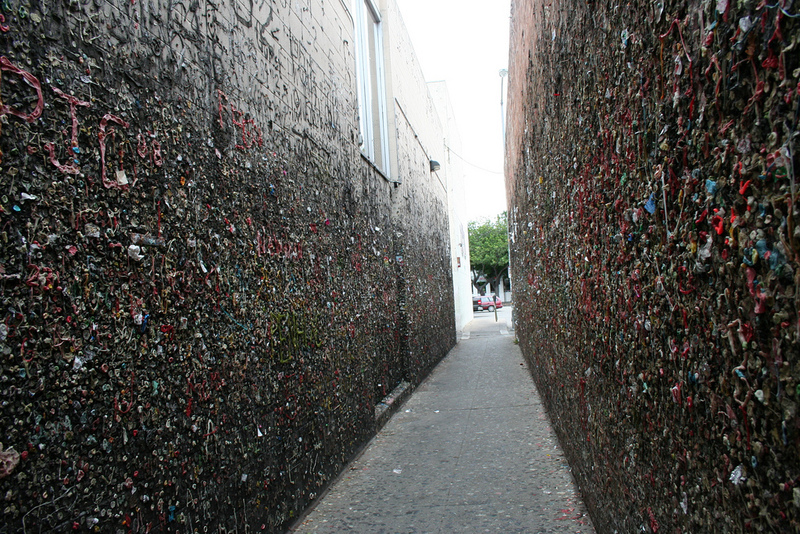 Bubblegum Alley is located in downtown San Luis Obispo in California. When is a store not a store? 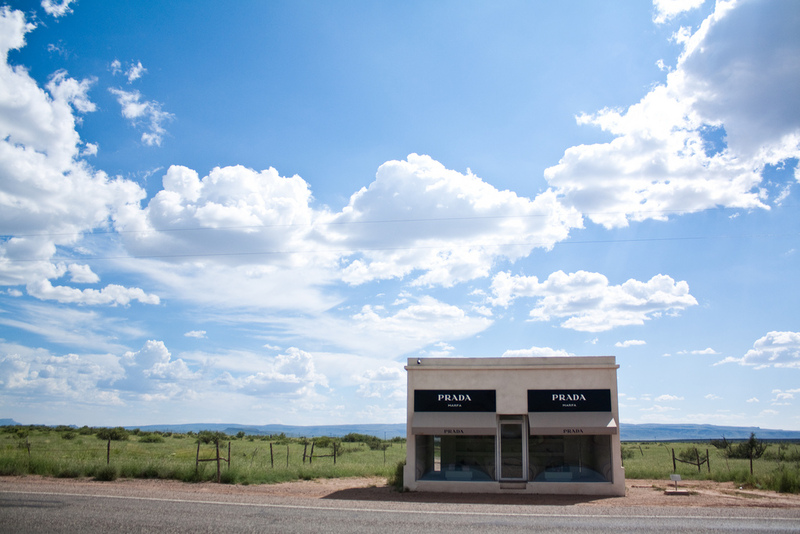 When it is the Prada Marfa, a lifesize replica of a Prada store that was created as a work of art. It was made by the artists Elmgreen and Dragset, and is situated northwest of Valentine in Texas. 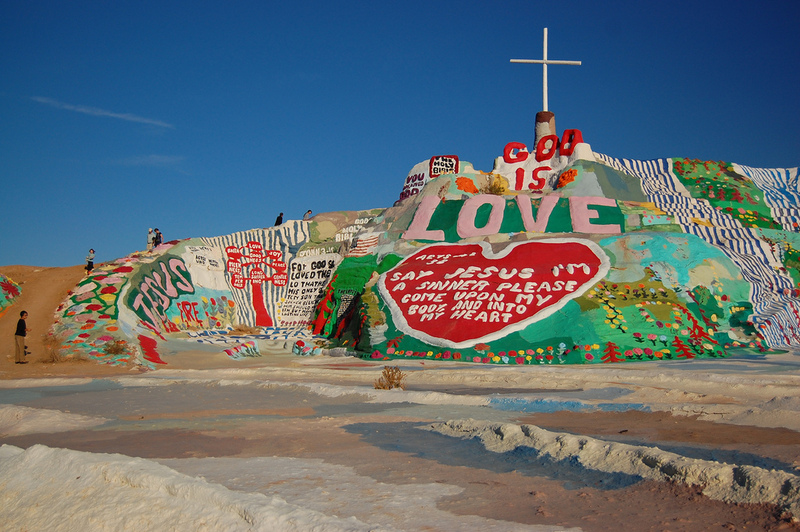 Salvation Mountain is a hill in the Colorado Desert that is an artwork because it is covered with murals, Christian sayings and verses from the Bible. The Fremont Troll concludes our look at some of the weirdest tourist attractions in America. 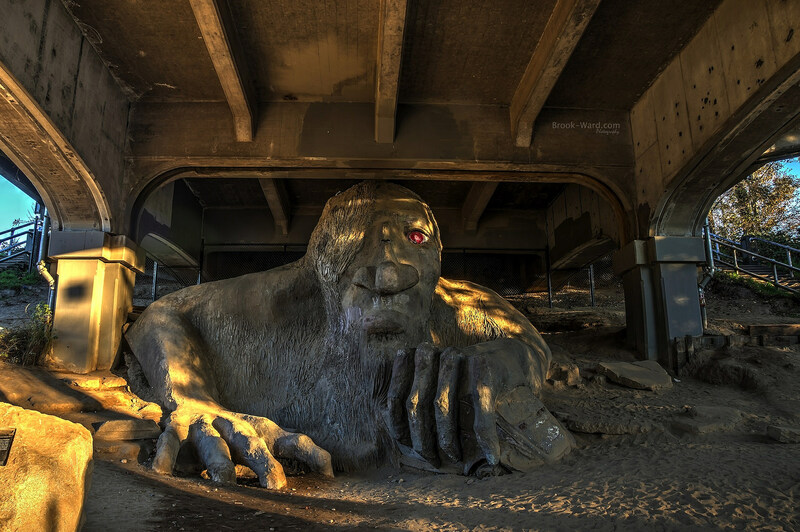 Aptly called “The Troll Under the Bridge,” this is an enormous sculpture under the George Washington Memorial Bridge in the Fremont neighbourhood of Seattle.